Read more on the UCU Wales news page. The Welsh Government and its executive determine how much funding colleges receive each year. Because of changes to the HE funding mechanism the funding follows the student and therefore universities are very dependent on the student numbers allocated by the Higher Education Funding Council in their fee planning policy. Both funding mechanisms have to be funded by the budget available to the Welsh Government. Education policy is a devolved matter and UCU Cymru spends a significant amount of time and energy ensuring that all politicians are aware of the issues which affect UCU members in both sectors in Wales. Every college of further education and every university has a branch of UCU with branch officers who are trained to provide advice on the policies and procedures operated by your employer. 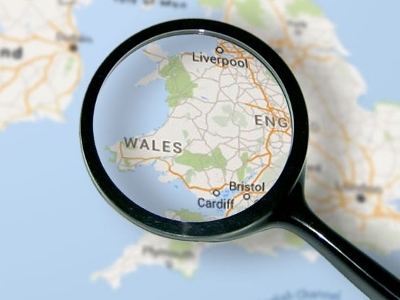 See our FE Wales pay page for the latest pay news. All colleges must implement the national contract by 1 September 2016. The implementation agreement [86kb] sets out the requirements in relation to staff working in colleges. See the FE agreements in Wales page for further information. available from the Wales FE pay scales page. The main policy focus of UCU Cymru is to ensure that higher education is high on the agenda of the Welsh government and that strategic developments are beneficial to staff and the universities. The minister for education and skills announced in November 2013 that he had asked Professor Ian Diamond, vice chancellor of Aberdeen University to chair a review of higher education funding and student finance arrangements in Wales. An interim report was published in December 2015, and the final report in September 2016. The Welsh Government issued a consultation on their proposals in response the final report in November 2016. You can read the UCU Wales submission to the consultation here [194kb]. Further details can be found on the Welsh government website or contact Lisa Edwards. We are aware that the minister for education and skills is keen that ITT providers should 'raise their game'. However we are not yet aware what the criteria for programme accreditation will be. Currently there is a task and finish group looking at accreditation criteria, but do not know if any practitioners are included in this group. We also know that a stakeholder group (see list in briefing pack) has been formed, to develop the 'approach to implementing the recommendations of Successful Futures and Teaching Tomorrow's Teachers'; however the 12 representative education trade unions have been informed that they can only have three places in the group on a rota basis. This in our opinion is not acceptable as it would mean that each union would only attend one in four meetings and practitioners would not be and influential part of the reforms; contrary to the recommendations of Donaldson. The joint trade unions have written to the minister expressing their concern over this issue (also in pack). The bidding process for ITT provision will begin in September 2016 with programme roll out scheduled for September 2018. UCU Wales is setting up an initial teacher training network to discuss proposals. If you would like to become part of the group or if you would like further information please contact Lisa Edwards, who is also happy to come out and talk to members in ITT departments in Wales. Exploring and evaluating the implementation of a teacher learning and development framework to support quality improvement at The College Merthyr Tydfil. Click here to see all UCU Wales documents.